This individual Report Setting Goals For Debit Reward Programs: Balancing Revenue Goals and Brand Loyalty is available for purchase. This Report is available to members of Mercator Advisory Group’s Debit Advisory Service. Please be advised that this Report is normally part of a research and advisory service that provides ongoing support throughout the year. As such, this Report contains significant depth of content that is selected for its strategic importance to our members. (For a description of these services, see our Advisory Services section). This report identifies the debit reward programs deployed by the top 50 debit issuers, evaluates existing debit reward programs and studies the urgent need banks have to expand such programs to encourage use of all the bank's products and services. The report also identifies the longer term problem that a reward program can reduce churn and thus mask product and service issues that are damaging the banks most important asset - Brand Loyalty. Debit reward programs have effectively reduced churn and increased revenue associated with debit programs. The attached figure from the report identifies the banks in the top 50 that have the highest average purchase volume per debit card (which are named within the report). Some banks accomplished this by offering rewards to customers to use signature over PIN at the point of sale. These rewards drive signature debit usage that in turn drives higher interchange revenue. Of course, a rewards program also typically establishes a liability for the bank because rewards must be paid out at a future date to the customer. Customers with a large balance in their rewards program are less likely to leave the bank even if the quality of the banks products and service degrade slightly. This report also evaluates the new rewards programs that deliver consumer rewards across the bank's full line of products and services. This approach encourages customers to use all of the bank's products and services, not just the debit or credit programs. This solution requires the reward program platform be integrated into the bank's core banking system - something not supported by most current credit and debit loyalty programs. This is changing rapidly, however, and this report identifies how suppliers are modifying their solutions to better support these cross product offerings. This report also looks further into the future and suggests that the next logical issue banks will need to address is how to improve brand loyalty for the bank. The report evaluates the net promoter model of measuring satisfaction and loyalty while also identifying the business areas consumers most frequently complain about when asked to rate their bank. Find a mechanism to balance reward programs with programs that target brand loyalty more directly are likely to be a key success in the near future. "Creating a lock-in is a legitimate mechanism for reducing churn. Mobile phone suppliers reduce churn with long term contracts that are almost impossible to decipher. Banks have attacked churn and increased profitability by implementing rewards programs. Research in this repot, however, makes it abundantly clear that reward programs do not create customers that recommend the banks products and services. To accomplish this most banks will need to re-calibrate what they measure and then adjust their spending to influence the customer in a way that increases the likelihood the customer will recommend that bank's products and services." 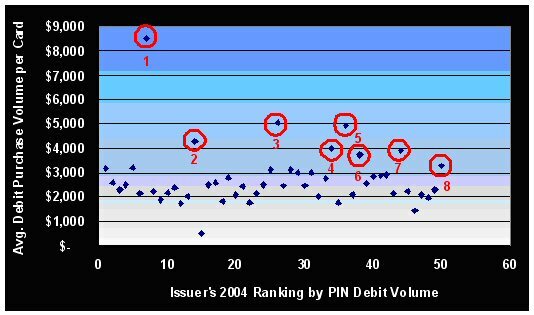 Figure 11: Debit Programs with High Average Purchase per Card. The report contains 33 pages and 11 Exhibits.